Never stop fighting. Never stop dreaming. My name is Dimitris. I’m from Greece and I’m currently in my final year of my studies in Electrical and Computer Engineering. I’m interested in new technologies, innovation and entrepreneurship. I also love strategy games, good food and anything that is fun and exciting! 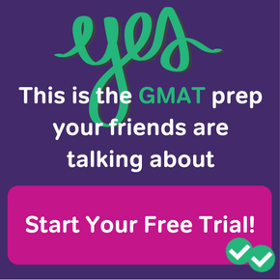 It was September of 2013 when I decided to take the GMAT. At first, I searched for a local prep center to prepare for the exam. I found a new prep center which was close to my university and sounded promising. The people there told me they will revolutionize the way lessons are made in Greece, and they will help me achieve my goals. They asked me in which school I’m currently enrolled, and when I told them, they were pretty sure that I would score close or above 700. It sounded like my own potential mattered more than their assistance to meet my goals. They also told me that half their company is in America, and so the lessons and the preparation material come from there. I made the mistake to enroll in their program, and I paid them 10 times the price of Magoosh. The lessons were awful, the “preparation material” never existed, and the instructors had not even taken the exam themselves! Each “lesson” consisted of answering medium difficulty questions of a paper test that we solved at home. And that’s it! We could also practice on a computer the MGMAT CAT tests whenever we felt ready, sometime before the actual exam. I took 3 out of the 6 tests, scoring somewhere around 600 and an official test in which I scored 550. Then I stopped taking more tests because I was not well prepared and I wanted to become better first and then take another practice exam. But when I actually started becoming better (after I signed up for Magoosh) they telephoned me and said that a long time had passed and they would delete my profile so I would not be able to take another MGMAT CAT. This happened in January. The worst part of this story was not the money but the time I wasted there. The whole situation lasted for 2 months, from October to December, but by the beginning of the second month I had already started searching for alternatives. About 3 weeks before the end of the lessons, I found Magoosh, and a week later I signed up as a premium member. The difference between the two prep centers was tremendous. This time I knew I had done the right thing. In total, my Magoosh preparation lasted about 5-6 weeks and in the end I was scoring around 700 in the official tests. First, I studied about 3.5 weeks, from the end of November to the mid of December, and then I stopped studying because I had to focus on my school lessons that had started by then (before that time the university was closed for 2 months due to problems with the government – that’s why I went to a prep center in October). I started studying again after 4 months in late April 2014, and about 1.5 weeks later I took the official exam. I did not answer any question from the official guides. 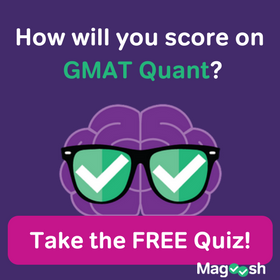 I answered most of Magoosh questions from the question bank, but unfortunately I did not have the time to review them again because I had to take the exam. I believe the key for scoring over 700-720 is to review your answers again and to practice from the official guides. This requires more study time but then nothing can stop you. A very simple estimation of the time I spent to improve from sub 600 to around 700 is about 130-150 hours or 1 point for every 1-1.5 hours of study. Note that with the other prep center I spent around 2 months “preparing” and improved slightly. So, it also plays an important role not only how much you study, but also how smart (and with what material). As a non-native speaker, the verbal section was the most difficult topic for me. In my first practice exam, I scored 21 in verbal (24th percentile), an indication that I had to improve my English in order to be competitive for the test. Magoosh came in handy there. My first action was to watch all the SC videos and to write down everything I see. It required patience and persistence to pause the video every 2-3 seconds, write down everything, unpause, pause again and repeat this process for all the videos. But in the end it was worth it. After finishing each SC module, in order to comprehend the content better, I reviewed my notes and practiced in the question bank. After watching all the videos, I watched them again, this time in “normal” speed. Next, I practiced in the question bank. After that, I followed the same procedure for the RC and CR. I wrote down everything from the videos and then I practiced. SC: For most SC questions in the question bank I saw the explanation videos which taught me how to reason effectively and how to find and eliminate the wrong answer choices. After a while of practicing, it was much easier to distinguish the right from the wrong splits, and my chances of getting the answer right were much higher. RC: I followed the same strategy described in the videos, with one exception: I summarized each paragraph in my mind rather than on paper in order to save time. Additionally, reading the question stem before jumping to the passage was very helpful because it gave me an idea on what to expect and where to give attention. But the most important action that improved my accuracy was to read the question carefully, find the answer in the passage (yeah, the answer is always there!) and then read the answer choices carefully and find the right one. Most of the times, what is stated in the passage is also stated in the right answer but with different words. CR: Here the trick is to stay focused on the argument and not try to think beyond the argument’s scope. The conclusion plays a very important role, especially in strengthening / weakening the argument questions. There, I eliminated any choices that did not change the conclusion, even if they seemed relevant to the argument. Also, before diving in the answer choices, I made sure I understood what the argument actually said by rephrasing it in my mind. Then, I would jump to the answer choices. Also, I always looked for reasons to eliminate an answer, not to keep it. With the above strategies, I managed to raise my verbal score to a respectable (at least for a non-native speaker) 35 (75th percentile) in the test day. Moreover, this preparation improved my English significantly, and also helped me achieve very good scores in the IELTS exam, without any further study except for a couple of tests before the test day. DS: When a DS question came, my first action was to determine if it was a YES/NO or a value question. The second action was to make sure that I had written down every given data. For example, if the stem said: “X is greater than zero”, then I wrote something like: “X>0, real” and underlined the word “real” so I would not forget that X may take non integer values. Another example: “A set of 15 different integers has a median of 25 and a range of 25. What is the greatest possible integer that could be in this set?” Here, if someone accidentally overlooks the fact that the integers are different, he will come to the wrong answer, which will deliberately be one of the answer choices. My third action was to solve the problem, by simplifying and by applying common principles. If, after a certain period of time, I could not find a solution or I wasn’t sure if a statement is sufficient, I would just guess and move on. PS: Here, many times a very difficult problem can be solved backwards. It may be easier to plug in numbers from the answer choices to the question stem, than trying to solve the problem straightforward. I found myself applying this strategy when everything else failed. In most cases, however, I just solved the problem the regular way. But before actually solving the problem, I would always look at the answers just to have an idea of what is going on. Again, if I saw myself stuck on a question, I would just guess and move on. My experience shows that anyone can succeed in this test; it’s just a matter of patience and practice. Even if you don’t score very well in your first exam, don’t lose your confidence, you will eventually do it. You can do anything, just believe in yourself and never stop fighting, until you succeed. Also, on test day be calm and confident. Do not think about how well you will score or what activity you will do after the test or anything that will drain energy from your mind. It’s better to not think about the score at all. Besides, from the practice tests the previous days you will have a pretty good understanding of what you will actually do. So, the best way to maximize your score is to stay focused on each question separately, and give 100% of yourself there. Additionally, try to be on time for each question–if you spend too much time on one question you will lose valuable time for the others. Besides, even if you spend more time on a particular question, there is always a chance that you will not find the answer and in the end get it wrong anyway. Many people score significantly lower in the test day than in practice tests, but few people actually score better. Try to be that person. And last one: enjoy the ride! 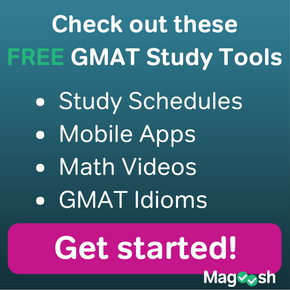 GMAT is not a sprint, it’s a marathon. It requires plenty of hard work (at least for most of us) to achieve a high score. So when studying, enjoy it, think that you will learn valuable things. You can also see it as a personal challenge that you will eventually overcome; it will be much more fun that way! In the end, success is a journey, not a destination.